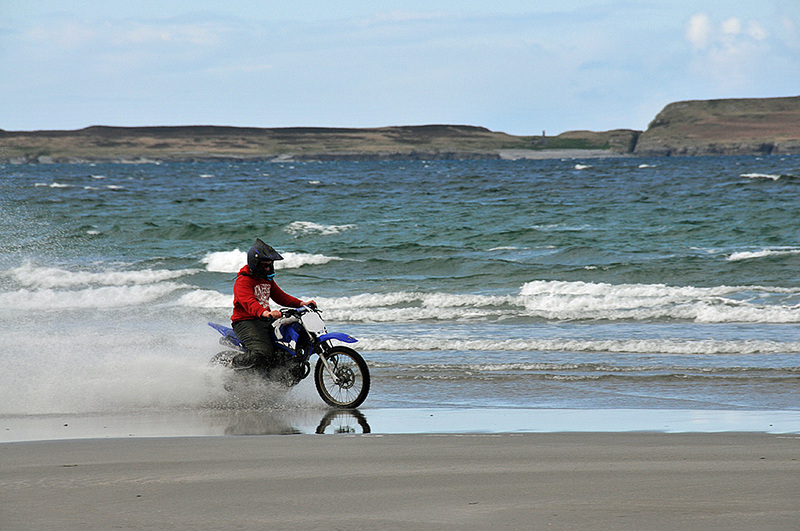 A young man taking his motorbike for a ride along the beach at Killinallan. Nave Island in the background. This entry was posted in Beaches, Cloudy Weather, Landscape, Repost and tagged Islay, Killinallan, Killinallan Point, motorbike, Nave Island by Armin Grewe. Bookmark the permalink.